One of the biggest dilemmas a couple will face when they plan their wedding is whether or not to include children on their guest list. On the one hand, inviting children can hinder a formal event and some venues are not necessarily kid-friendly. On the other hand, excluding children presents guests with the burden of finding childcare, and some guests just won’t be able to attend. Many couples today are solving this problem by offering activities or services that allow for parents to bring their children. 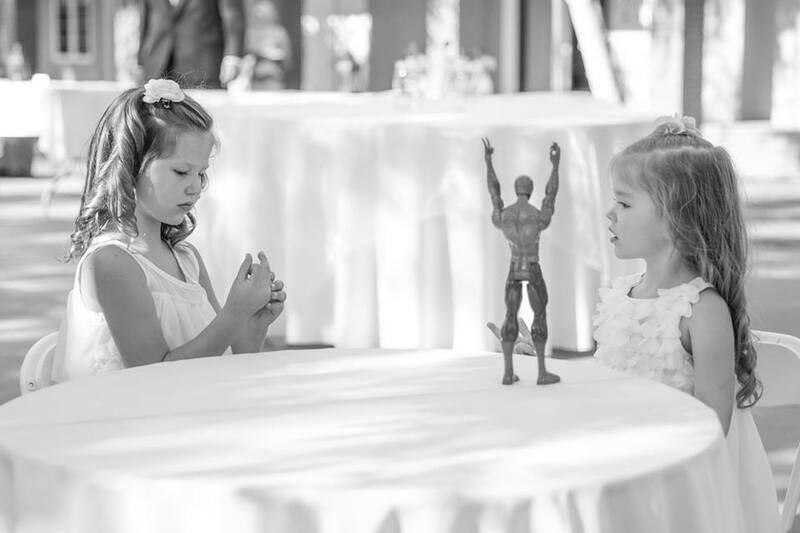 We’ve rounded up some of our favorite ways to keep kids entertained and parents happy at your wedding. Do you know someone who is just insanely good with kids? Have a friend who is kindergarten teacher? If you know someone who is brilliant with children hire them to be the MC of your small guests. They will expertly move the kids around from activity to activity, and let the parents sit back and enjoy the night. 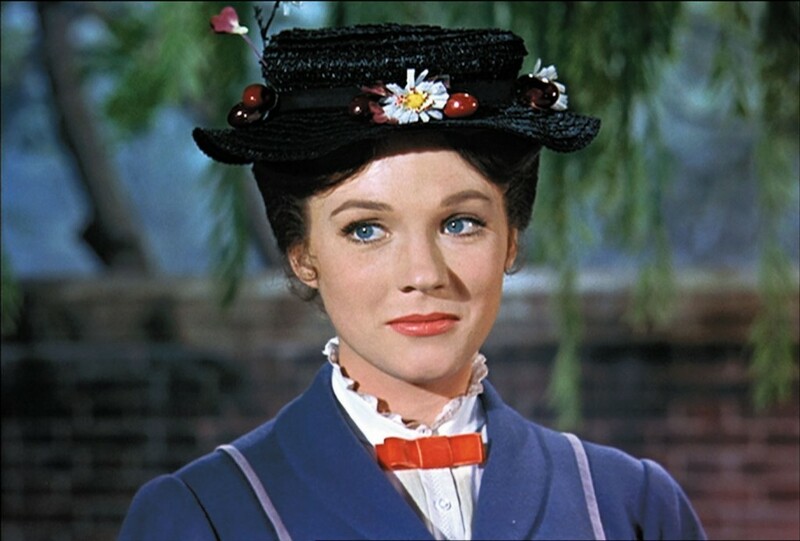 Your “Mary Poppins” can rally the kids on the dance floor, keep them away from the cake, and monitor when they need a change of scenery. Oftentimes the reception meal isn’t served for quite a while, and if appetizers are available they are not necessarily kid-approved. You can talk with your caterer ahead of time and plan a simple plate of bananas, cheese and crackers, and apple slices for your younger guests. The last thing you want is a hungry toddler meltdown. While your guests are eating, you can keep the kids sitting quietly at the table with some fun activities like coloring, games, and books. A nice way to present coloring pages is to arrange pre-printed sheets on clipboards. Who doesn’t love a clipboard? 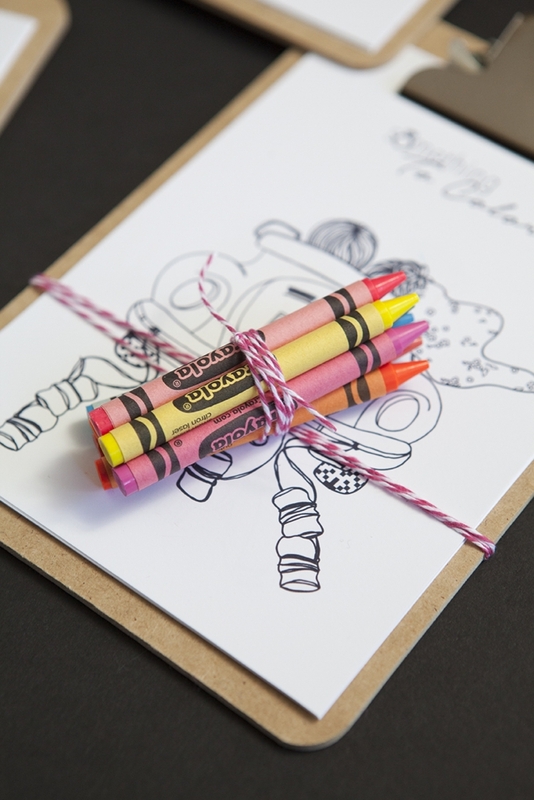 Tie up some crayons in baker’s twine and voila! You have a darling souvenir for your tiny guests. 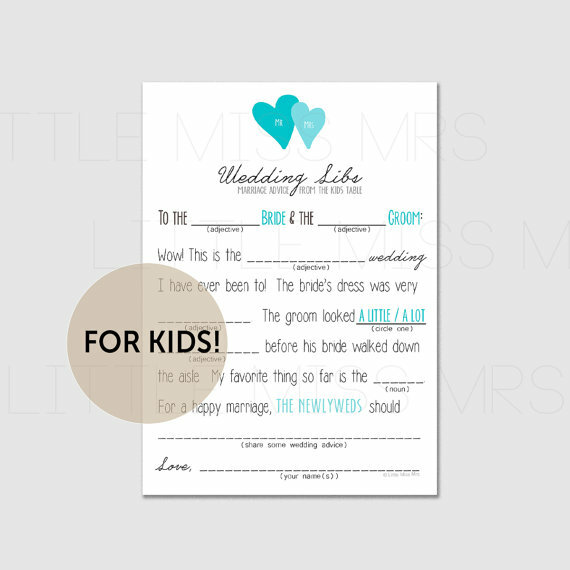 Instead of a guestbook, place Mad Libs cards on every table. Guests can write out their marriage advice and a personal message for the bride and groom. Make sure you provide a kid-friendly version at tables where there are children. Hint: the kid cards are probably going to be one of your favorite mementos from your wedding! You can create your own Mad Libs cards, or you can purchase some like Something Turquoise on Etsy. Send kids on a photography scavenger hunt and they will capture moments you probably didn’t even know were happening! A great way to present this activity is to have a kids’ table with crayons and coloring sheets. Remember, kids are fast and eager to start activities right away. You can avoid burning through their activities by inviting them to play this game after they eat their food. 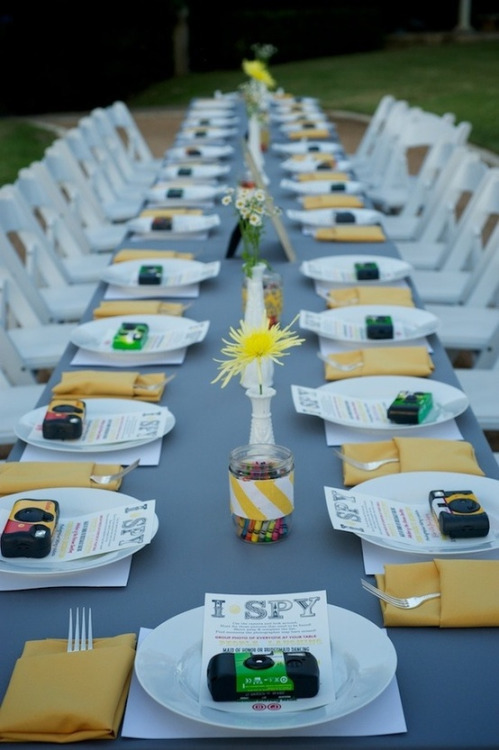 If your venue allows for it, section off an area of your reception space that is a kids-only zone. Here they can be a little wild without disturbing the rest of the party. Bring in some Ping Pong tables, hula-hoops, and even a Nintendo Wii. You can also have a Lego center and a crafts table. I have personally seen kids completely zone out for two hours with a box of Legos and a stack of coloring books. These are your currency for keeping small people chill. Any mom who has attended a wedding with an infant will tell you that besides the bathroom, there is nowhere quiet to go and feed a baby. If some of your guests are bringing babies or toddlers consider providing a quiet room for moms to nurse and for toddlers to rest. Having a changing station and some comfy chairs will go far in making your guests feel both comfortable and welcome. You could even put a DVD player in there with a kid-friendly movie! 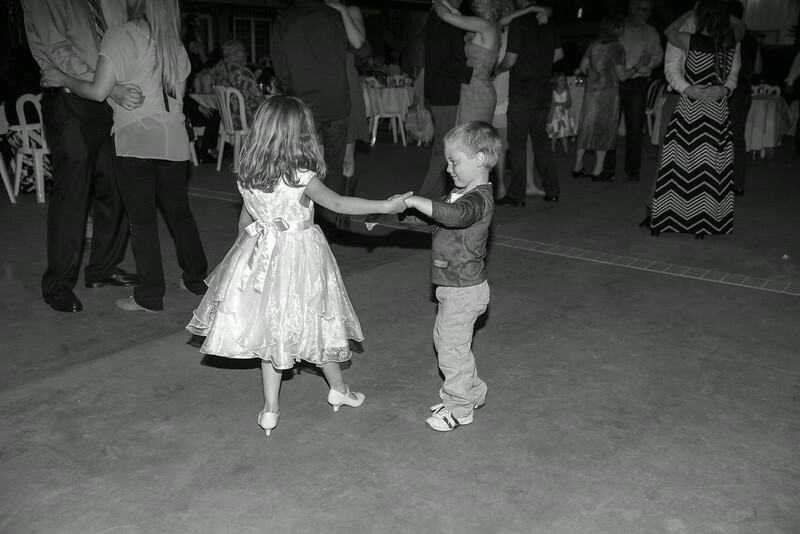 There is nothing cuter than seeing little kids get out on the dance floor and dance with the wedding party. These are some of the sweetest moments your photographer will capture. 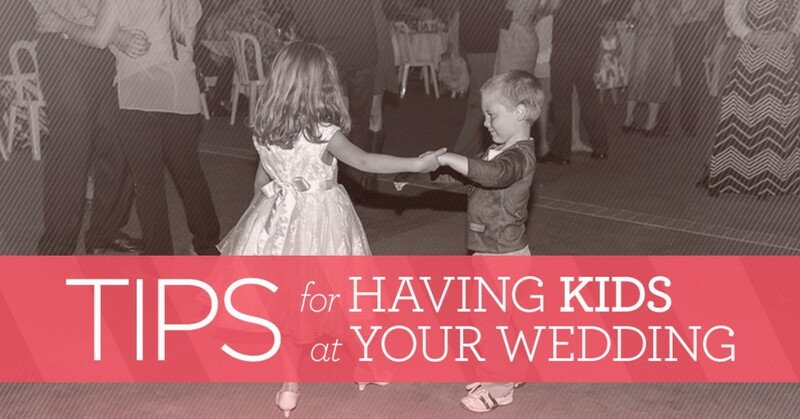 Talk to your DJ beforehand about planning a few kid-friendly songs. Hint: Frozen’s “Let It Go” is the anthem of all little girls so even the shy ones will venture out if you blast some Elsa. Make sure you time kid-friendly songs earlier in the night as these guests will probably leave earlier than the rest. Finally, just have fun! Not every couple chooses to invite children to their wedding, and that is totally fine. But should you choose to, we hope these tips help orchestrate the perfect day!